all at the SAME time! 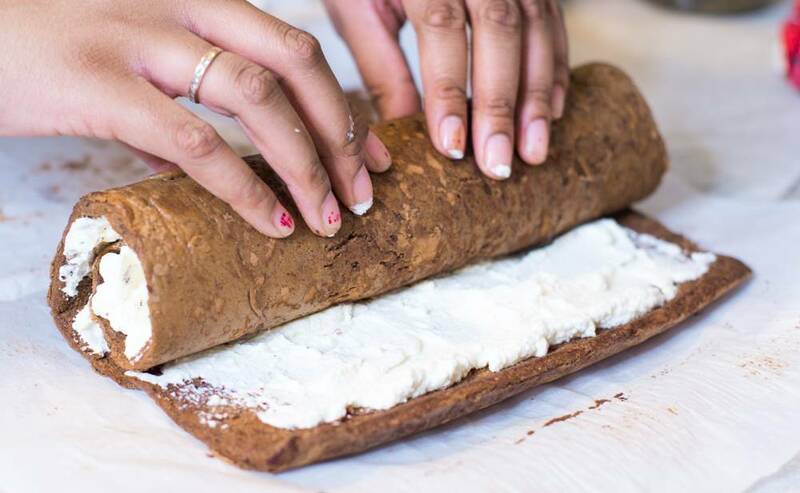 So instead of researching clapbacks to questions like “when are you going to have kids,” just bake this swiss roll cake instead! This cake is essentially a gigantic ho-ho made from scratch. It’s fairly easy to make once you separate it into three simple parts: a chocolate sponge cake, a sweet whipped cream filling, and a chocolate ganache topping. Light, fluffy, and decadent! Preheat your oven to 425°F. Place your pre-buttered parchment paper on 17×12 inch sheet pan. Place an inch or two of water in a medium pot and bring to a simmer. In a heat-safe bowl (big enough to sit atop the pot without touching the water) whisk together the sugar and eggs, then place over the simmering water. Combine with a hand mixture for about 3-4 minutes until it becomes lighter in color and a fluffy consistency. Keep mixing until the mixture hits 120°F. Remove bowl from heat once it reaches temp and keep whisking for another 2-3 minutes. We want the batter to be pale yellow (close to white) and fluffy enough to hold its shape for 5-10 seconds when drizzled across the batter. This is called the ribbon stage. In a medium sized bowl, combine your cocoa powder, flour, and salt. 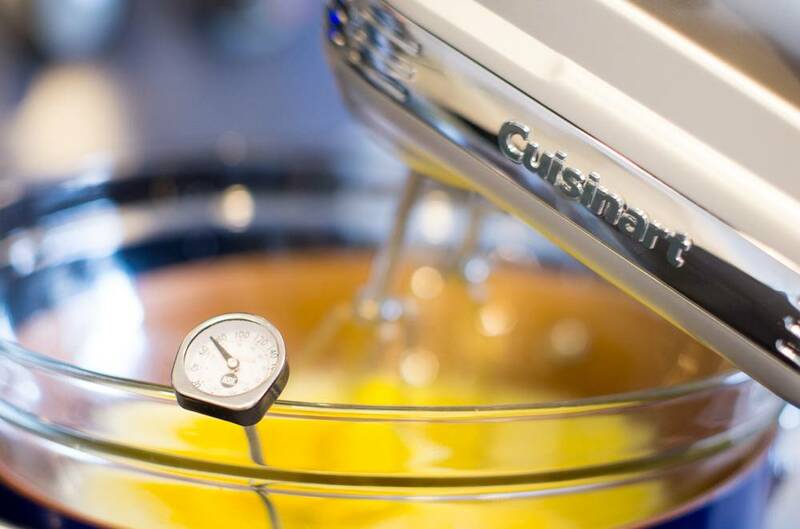 Place the dry ingredients into the wet fluffy egg mixture and combine quick but gently with a spatula. Pour your batter on the buttered parchment paper. 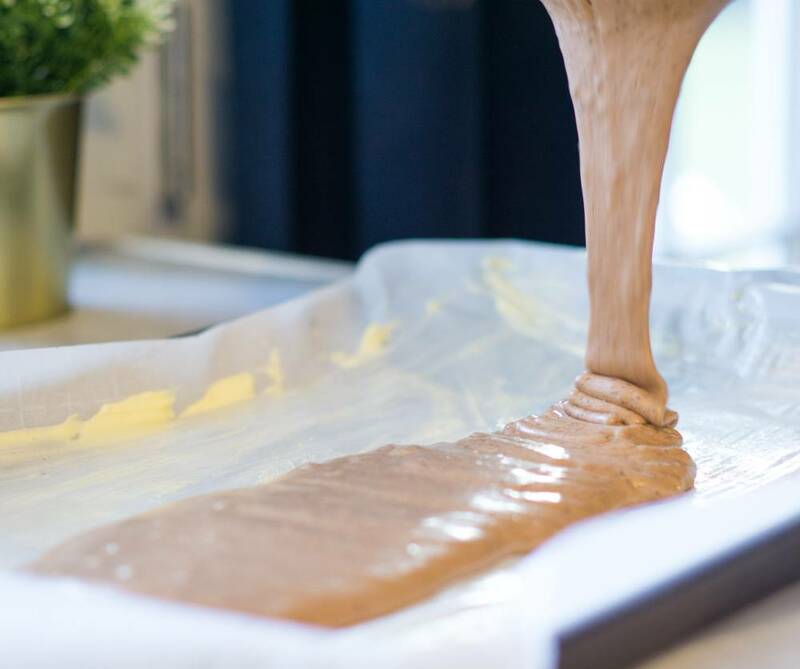 Spread the batter with a spatula to make a flat sheet of batter. Bake at 425°F for 5-6 minutes until springy. Yeah, only FIVE MINUTES! Once the cake is done baking, we need to give it some curl. This will make cake rolling easier once we add the filling later on. We want as few cracks as possible! 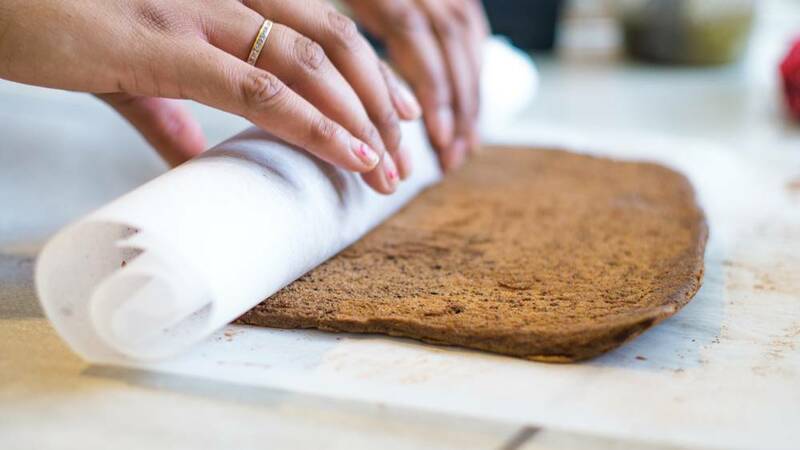 Flip the cake over onto a powdered sheet of parchment paper (either flour or cocoa powder). Gently lift the parchment paper the cake was baked on. Slowly roll the cake up in the new parchment paper and allow it to cool. While the cake is cooling, combine the heavy cream, sugar, and vanilla and whip until stiff peaks form. This should take about five minutes. After the cake has cooled, it is time to fill it! Unroll the cake gently. 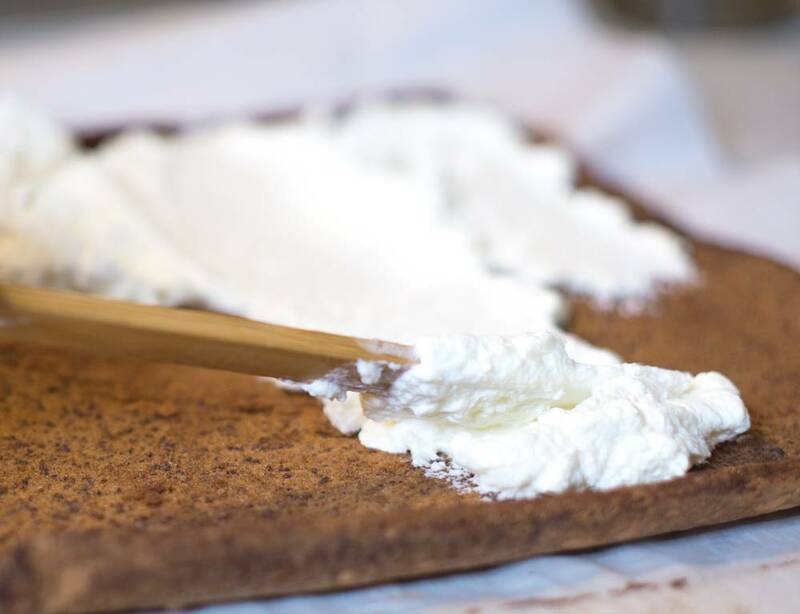 Spread an even layer of fluffy whipped cream filling on the cake leaving 1/2 inch on all sides exposed. 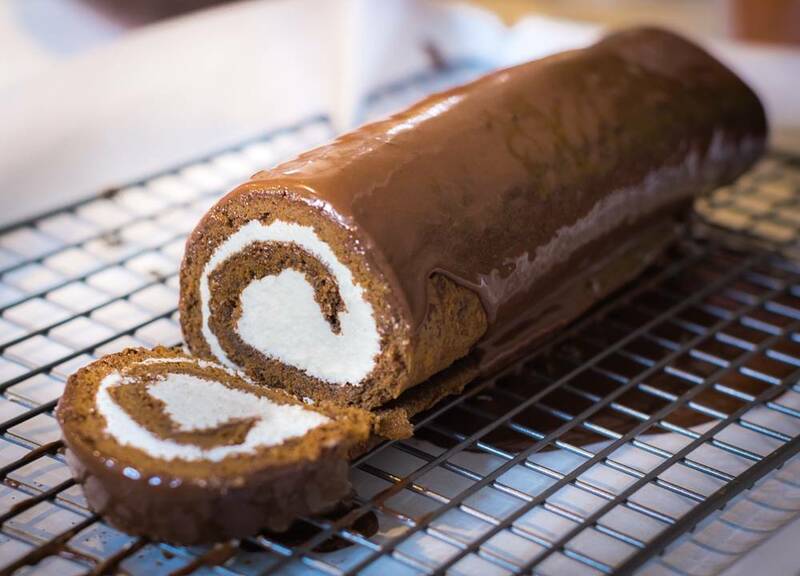 Begin rolling your swiss roll cake! It is important to tuck the first roll very well if you want a good spiral in your roll. Your roll should be tight but not so tight that the cake rips. Apply even pressure across the roll as you…well, roll. Place a clean sheet of parchment paper on a sheet pan and top with a wire rack. Rest the sponge cake on the wire rack. 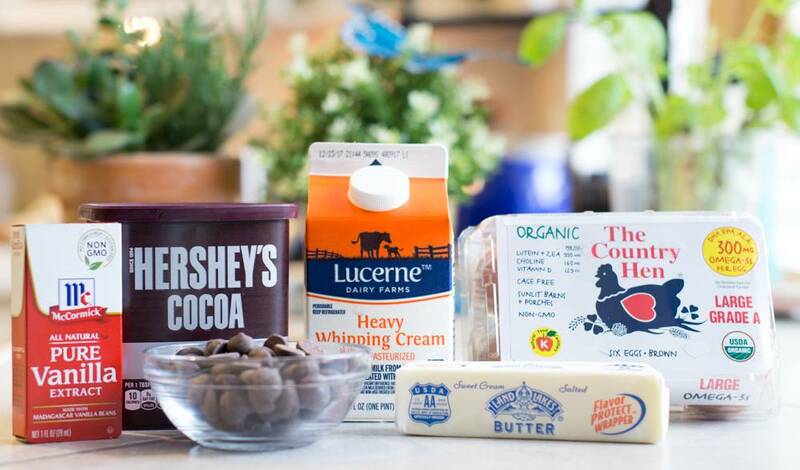 In a small bowl combine chocolate chips, heavy cream, and a splash of vanilla almond milk. Melt over simmering water until fully combined. 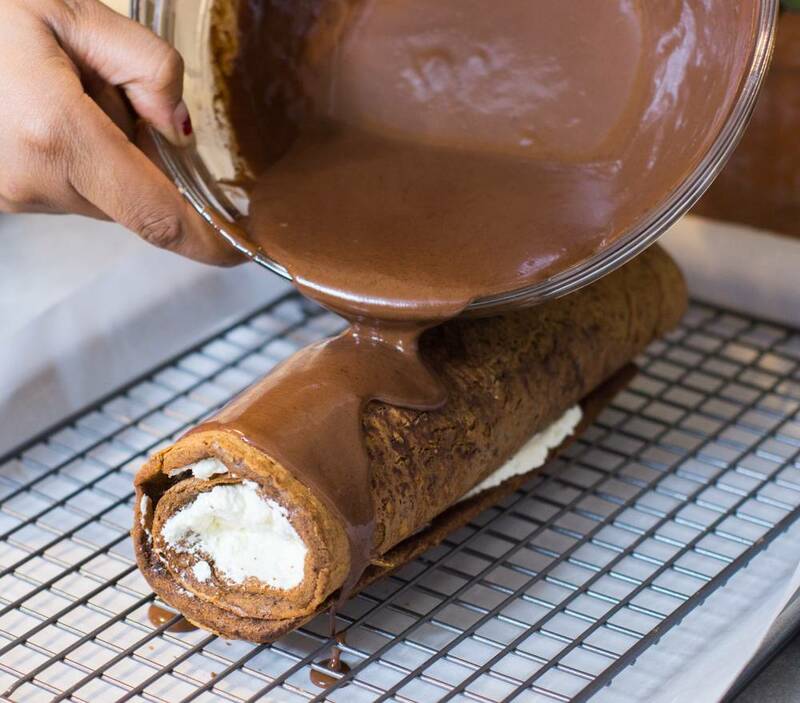 Pour the ooey gooey chocolate ganache over the top of your swiss cake roll. Refrigerate for at least 30 minutes before serving so the ganache can set. 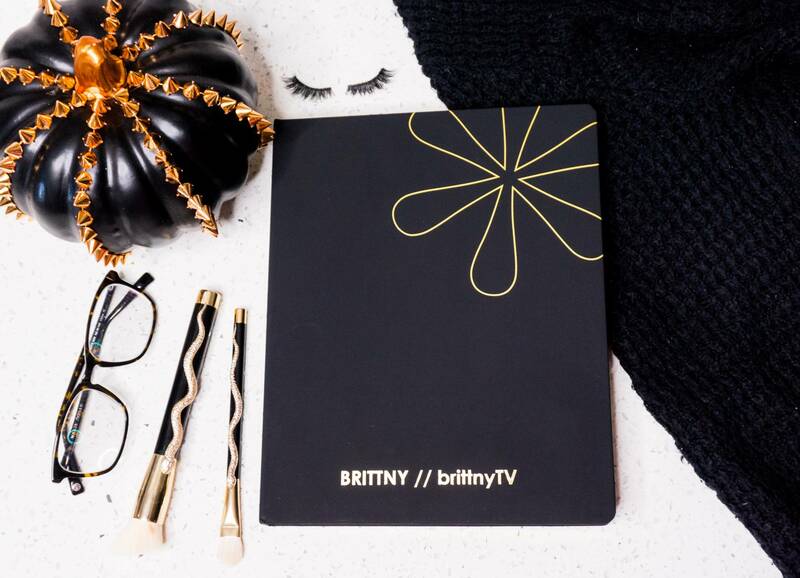 What are you baking this holiday season? For more recipes, click HERE! 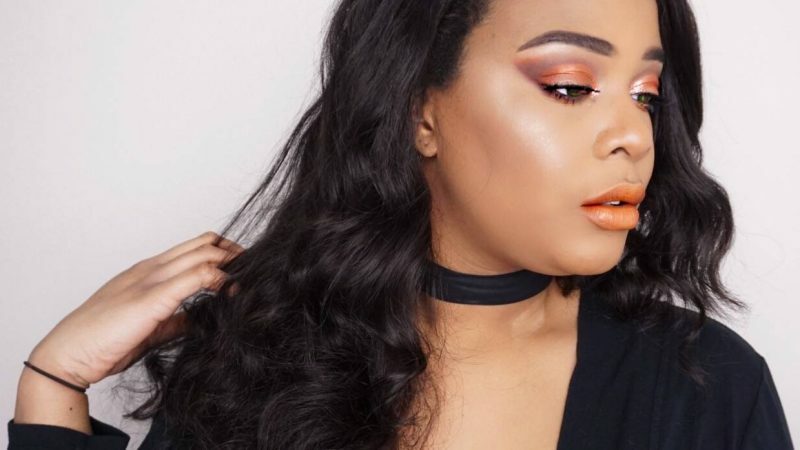 Beauty-loving homebody juggling a marketing career and creative business while documenting it all!